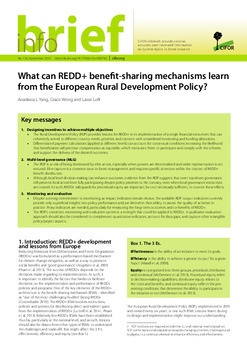 A multilevel governance approach to benefit sharing studies how numerous actors with different perspectives, interests and powers determine the distribution of both monetary and non‑monetary benefits generated through the implementation of initiatives aimed at reducing carbon emissions from land use such as REDD+. 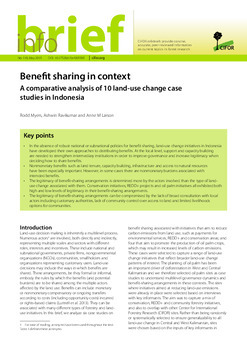 The design of benefit sharing arrangements is shaped by governance institutions and processes that determine who participates, who makes decisions, how decisions are made and who influences whom, how and why. 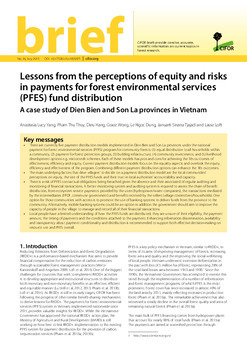 Since it may not always be possible to simultaneously achieve desired livelihoods, equity and carbon outcomes, trade-offs must be therefore negotiated. Benefit-sharing structures and decision-making processes can be characterized as more or less legitimate or democratic, in terms of opportunities for representation, participation and transparency that they present. 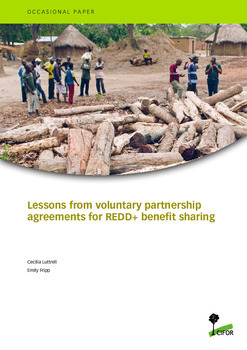 The effectiveness, efficiency and equity of REDD+ and similar initiatives depend on the quality of governance arrangements and the perceived fairness of benefit sharing. 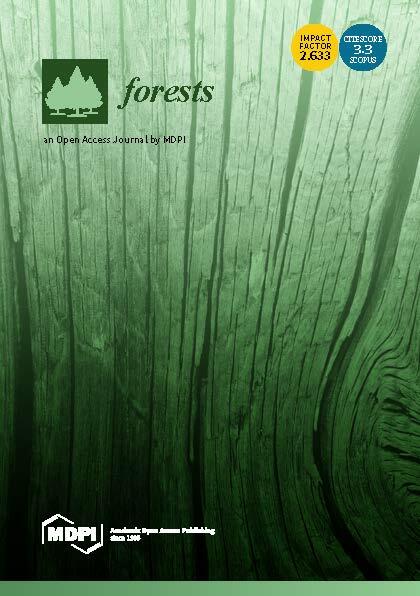 Research on multilevel governance at the landscape scale used in-depth interviews with key actors from multiple levels and sectors who have a stake in various cases of benefit sharing associated with land use initiatives in Peru, Indonesia, Tanzania, Vietnam, and Mexico (see Methods). 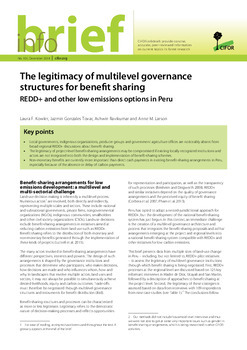 Additional research relevant to multilevel governance and benefit sharing is also available on this page.